The Florida International University ranking is as a second tier institution by the USnews, whereas the Jiaotong ranks it inside the top 200 colleges in the States. 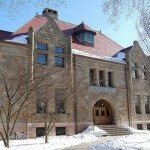 It is ranked as the 539th best college in USA by Forbes. The Florida International University tuition fees are $6,496 for in-state and $18,895 for out of state students. It is a selective college taking in 43.0% of applicants. Financial aid offered totals $151 million per year, an average of $8,090 per student. SAT scores for Florida International University admission requirements (25th-75th percentile) are Math 490 – 580, Reading 490 – 580, and writing 490 – 570. The composite SAT scores range from 1070 to 1230. The requirements for ACT (25th-75th percentile) are Composite 21 – 25, English 21 – 25, and Math 20 – 25. Florida International University, or FIU, is a public university which the Carnegie Foundation accredited as a research institution. It was founded in June 1965 following to a proposal made by Senator Ernest Graham in 1943 for the creation of a South Florida public university. Though the senator’s proposal didn’t push through, he openly discussed the need for a state university in Miami to his colleagues. Finally, another bill was introduced, this time by Senator Robert M. Haverfield in 1964, which was passed the following year. Florida International University photograph by Eduardo Merille. The Board of Regents appointed Charles Perry as the university’s first president. It formally opened its doors in September 1972 with 5,667 enrollees. Since no higher education institution was present before FIU’s founding, most of its freshmen were typically 25 years old and above, and some students were even married. The first commencement exercise was held at the Primera Casa in June 1973, attended by FIU’s first 191 graduates. The Florida International University, Miami, FL opened it’s Biscayne Bay Campus (then known as North Miami Campus) in 1977 under the leadership of its second president, Harold Crosby. After Crosby regined in January 1979, Gregory Baker Wolfe took over the management of the university. He stepped down in 1986 and became a professor in FIU’s International Relations department. 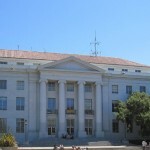 Modesto A. Maidique replaces Wolfe and became the university’s longest-serving president, resigning in 2009. The university’s current president, appointed on the 29th of August 2009, is Mark B. Rosenburg. Florida International University has 191 academic offerings, 74 of these are undergraduate programs spread over its 23 schools and colleges. 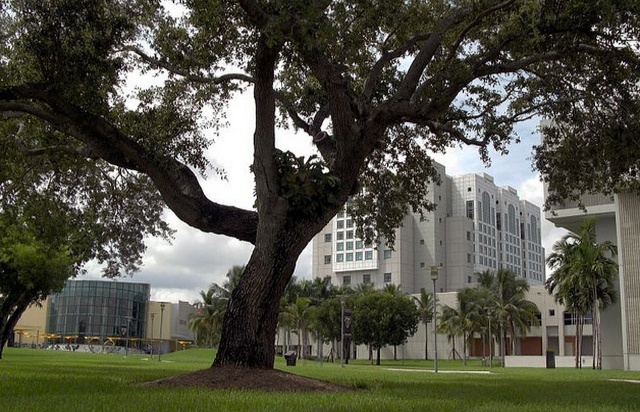 FIU’s main colleges include the College of Architecture and the Arts, Arts and Sciences, Business Administration, Education, Engineering and Computing, Honors College, College of Law, Herbert Wertheim College of Medicine, College of Nursing and Health Sciences, School of Hospitality and Tourism Management, and the Robert Stempel College of Public Health and Social Work. The Florida International University also have 82 masters-level studies and 30 doctoral programs in its College of Medicine, College of Law and School or Architecture. Aside from its main campus and Biscayne Bay Campus, the university also have minor campuses and different facilities in China, Italy and South Florida. Other colleges in Florida state include the University of Central Florida, University of South Florida, Florida State University, University of Miami, and the University of Florida. Motto: Spes Scientia Facultas (Hope, Knowledge, Opportunity).